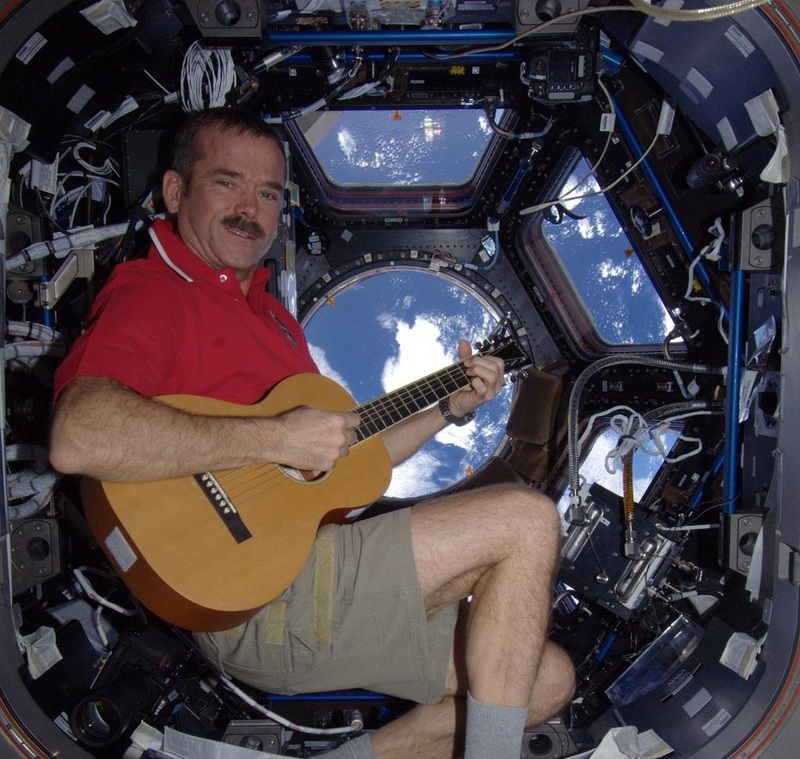 Chris Hadfield OOnt MSC CD (born August 29, 1959, Sarnia, Ontario) is a Canadian astronaut who was the first Canadian to walk in space. 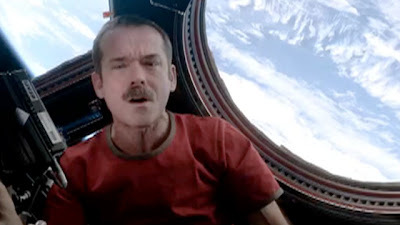 "Hadfield was raised on a corn farm in southern Ontario and became interested in flying at a young age — he came to the idea of being an astronaut when he was nine on the day of Apollo moon landing, which he had seen on TV then," noted Janet Davidson, CBC News, December 7, 2012. Chris means "servant of Christ." 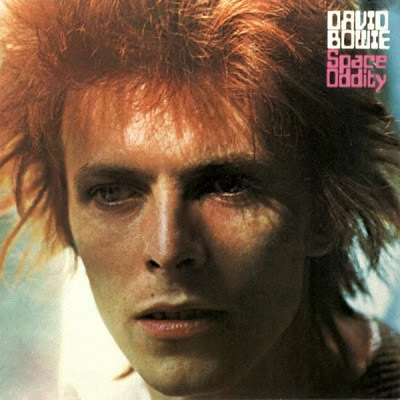 The name Hadfield, most simply, is a habitational name from a place in Derbyshire, taken from Old English haeð "heathland," "heather" + feld "pasture," "open country." ...long-established surname is of Anglo-Saxon origin, and is a dialectal variant of the locational name Hatfield, from various places so called in, for example, Essex, recorded in the Domesday Book of 1086 as "Hadfelda"; Hertfordshire, also recorded in the Domesday Book as "Hetfelle"; Nottinghamshire, found as "Haytfeld" in the Hundred Rolls of 1275; and in Hereford, recorded as "Hetfelde" in the Domesday Book. The derivation of the placename is from the Olde English pre 7th Century "harth," heather, or other similar plants, with the second element "feld," pasture, except the places in Nottinghamshire and in Yorkshire, whose first element show an influence of the Old Scandinavian "heithr," heath. Source. Enjoy the gift that Chris Hadfield has sent us all from space, a video revision of David Bowie's Space Oddity. Could there be a link with the recent leak of ammonia from the station ? An excess of ammonia in blood is a sign of a malfunction in the liver. Liver is "foie" in french, pronounced as "foi", faith. 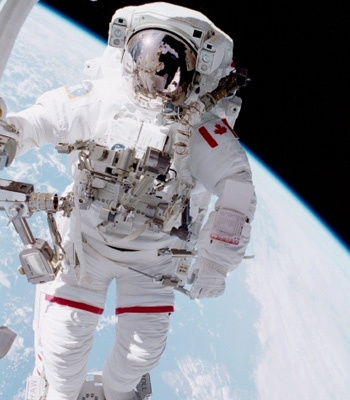 This is the most beautiful video of what it's like up there in the space station. "Walking in the Air" from ReelNASA Channel. Loren, is that a subliminal in the picture of Chris Hadfield floating in space? The picture looks doctored. The face looks demonic or like an alien extraterrestrial inside the helmet. I thought he did a good performance for the 'tears of Isis'....aboard the ISiS...that is what I took from it...huge watery Isis tears streaming down his face. Bowie is married to a composite Isis via Eye-Man (Iman).